Icard Merrill has a highly regarded real estate taxation practice and is accomplished in the handling of all matters relating to real and personal property taxation. We have successfully reduced tax liability for both commercial real estate and commercial tangible personal property matters through administrative appeals and litigation. Our knowledgeable tax law group regularly counsels real property owners, investors, REITs, and developers and are experienced in interpreting, structuring, and negotiating real estate transactions, with an aim toward achieving maximum tax benefits for these clients, including the structuring of tax-free exchanges, preservation of long-term capital gains in connection with real estate dispositions, and the structuring of joint venture arrangements for acquisition or development of commercial properties. We also have significant experience in the negotiation and drafting of RESPA Affiliated Business Arrangements for developers in order for these clients to share in the income generated by the title policies and mortgage loans originating from their real estate developments. Whether counseling a multi-national corporation, real estate developer, or governmental entity, Icard Merrill’s tax law team creates a tailored approach to address the underlying tax consequences of each real estate matter. 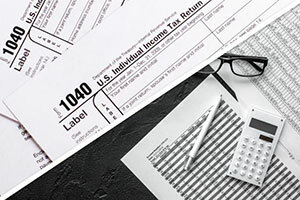 Our tax attorneys work closely with our accomplished real estate department as well as experts in a variety of real estate and related specialties – including commercial development, finance, environmental and energy, and others — to provide comprehensive counsel in a full spectrum of real estate taxation matters. If you are in need of an experienced Florida attorney versed in all aspects of real estate and personal property tax law, contact us today. One of the more exclusive areas of real estate and taxation law is ad valorem real property taxation, a major revenue source for the state of Florida. This unique area of property taxation addresses value, exemptions, and classifications related to all real property located in each Florida county. Icard Merrill’s tax attorneys have a highly respected and experienced ad valorem taxation practice and offer assistance to clients in properly filing for property classifications, such as “agricultural,” exemptions, as well as homestead and valuation issues. Notably, from 1972 until 1985, Icard Merrill shareholder, J. Geoffrey Pflugner, was one of only two attorneys responsible for representing the County Property Appraiser for Sarasota, Monroe, and DeSoto Counties. Mr. Pflugner has formerly been selected as the Special Master to the Charlotte County Value Adjustment Board, evaluating sworn testimony and documentary evidence regarding county property assessment, property tax exemption applications, and homestead applications, and rendering a recommendation to the Value Adjustment Board. Contact us to speak with a tax attorney versed in the complexities of Florida’s ad valorem real property taxation.